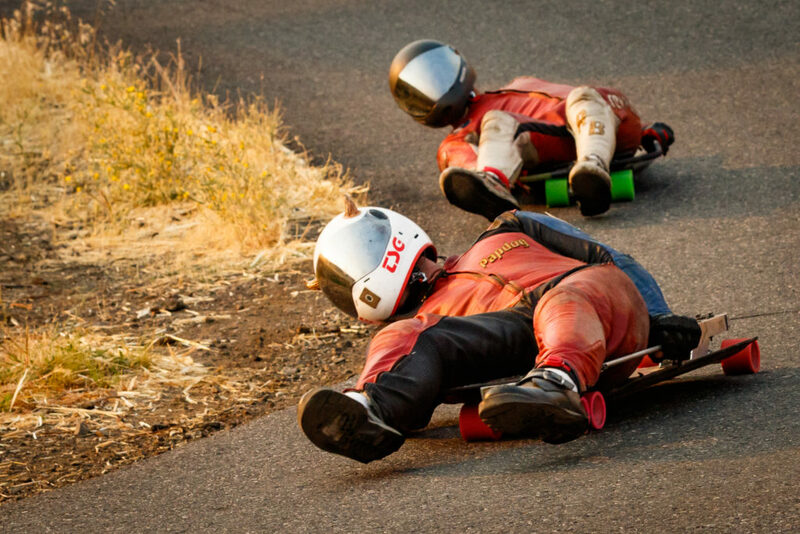 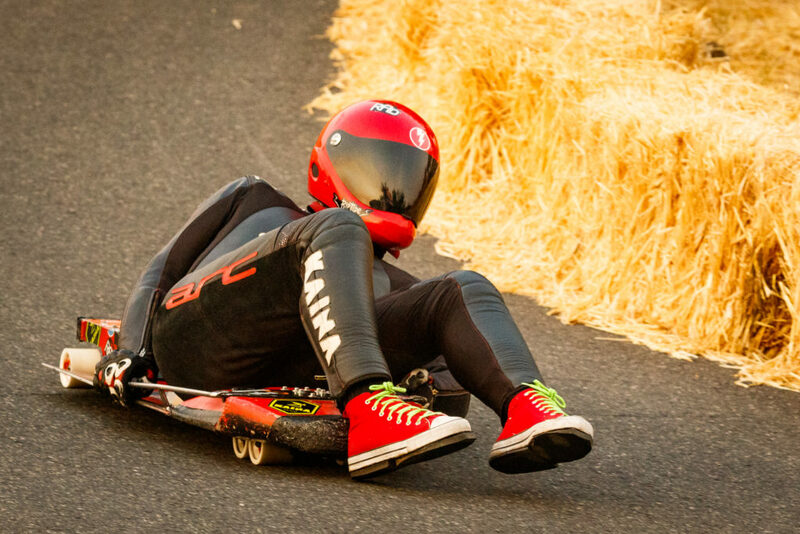 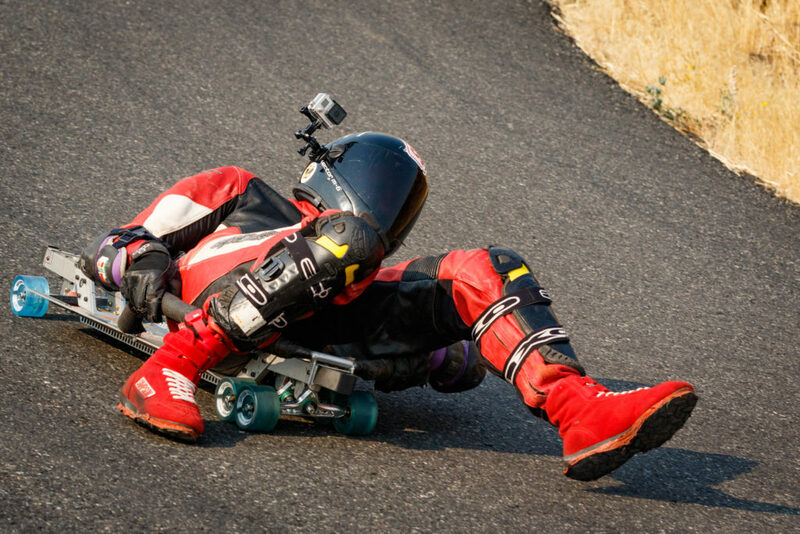 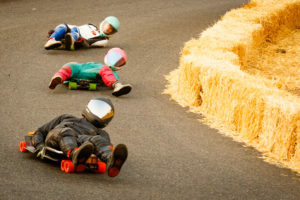 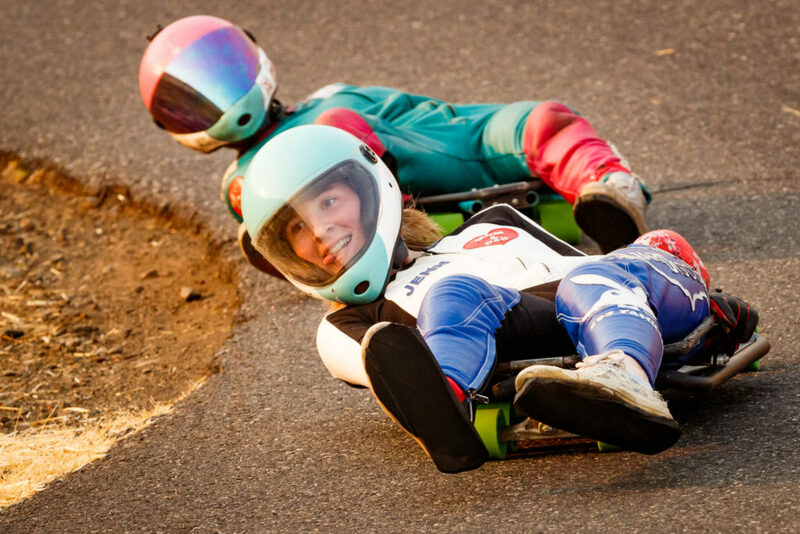 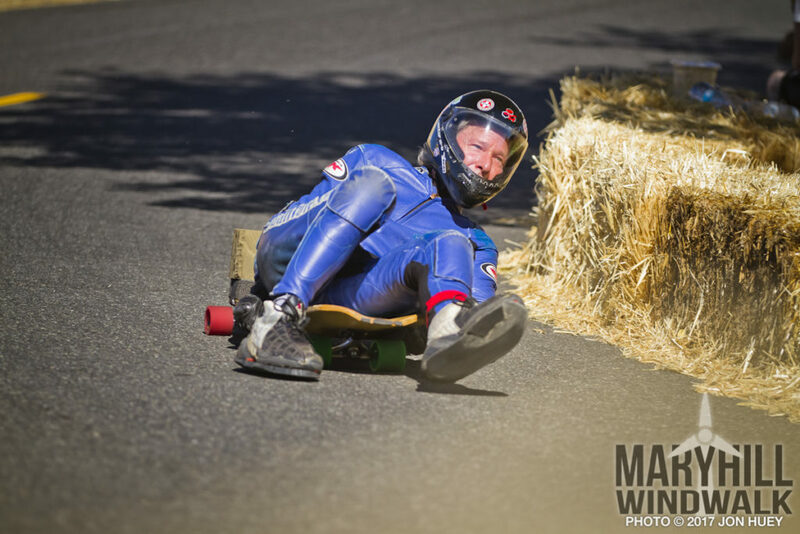 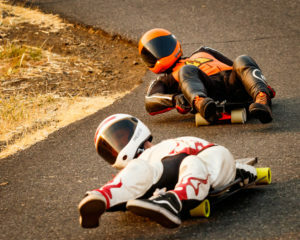 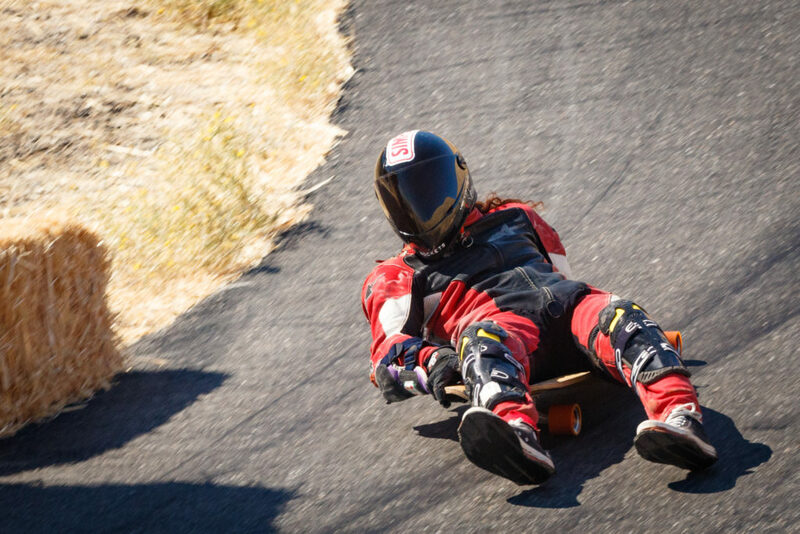 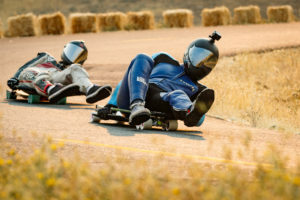 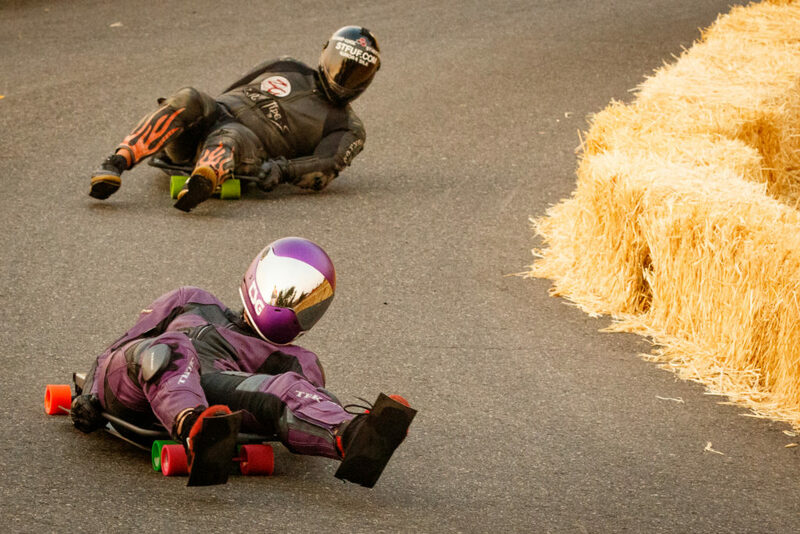 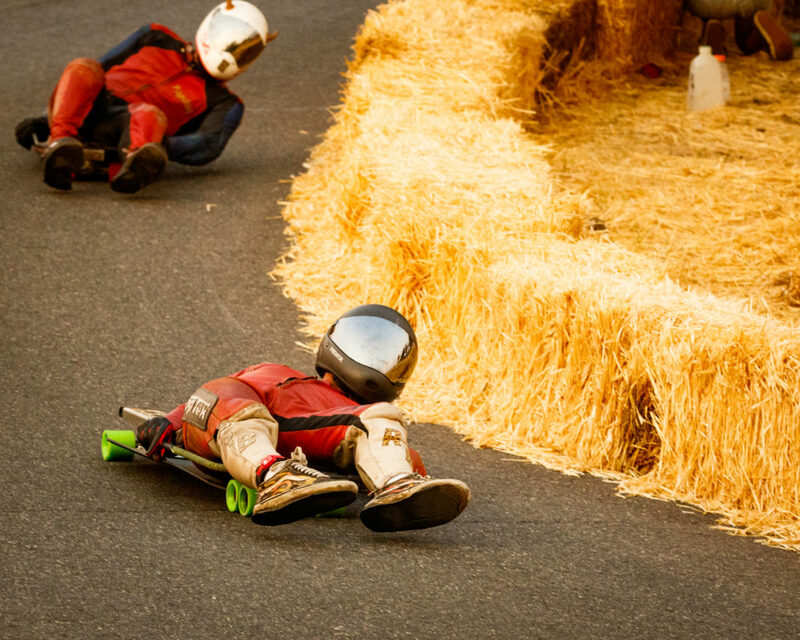 Street luges grew out of simply sitting or laying down on a longboard. 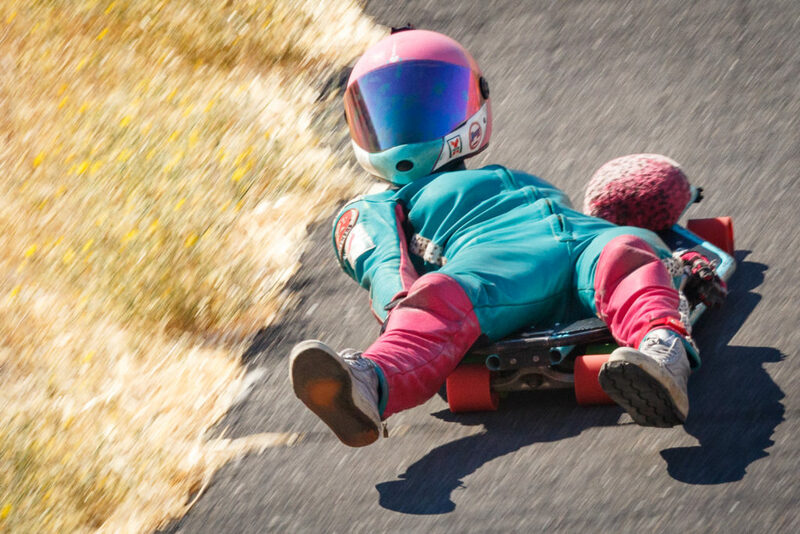 They have grown into high tech machines, with head rests and handle bars. Most are made out of aircraft grade aluminum, but some are made out of more exotic materials such as carbon fiber or even titanium. 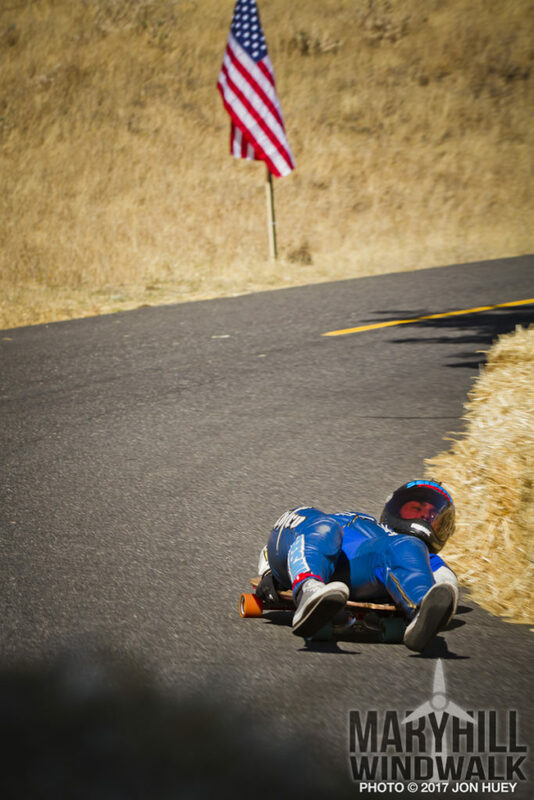 Just like skateboards street luges are lean steer vehicles, although they typically run six or even eight wheels to increase the traction. With the rider laying in a prone position that luger will go faster than the standup riders, with a current world record of 102 MPH! 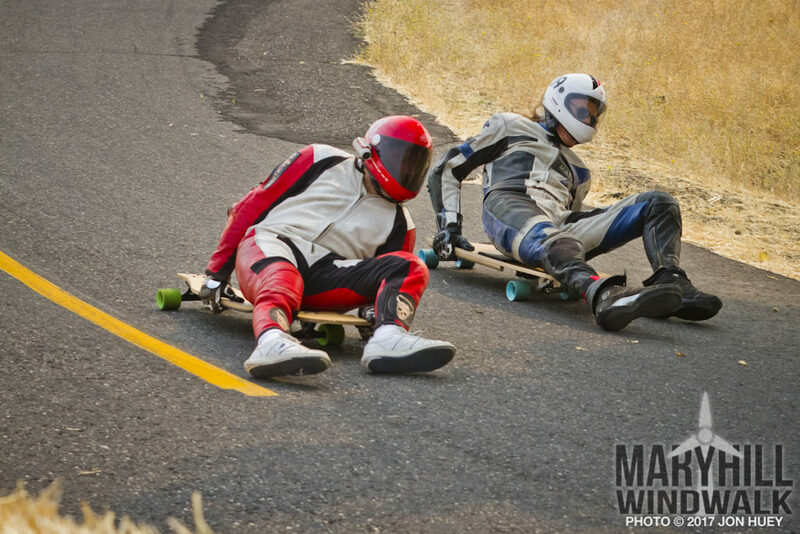 Riders will stop, flinstone style, with their feet. 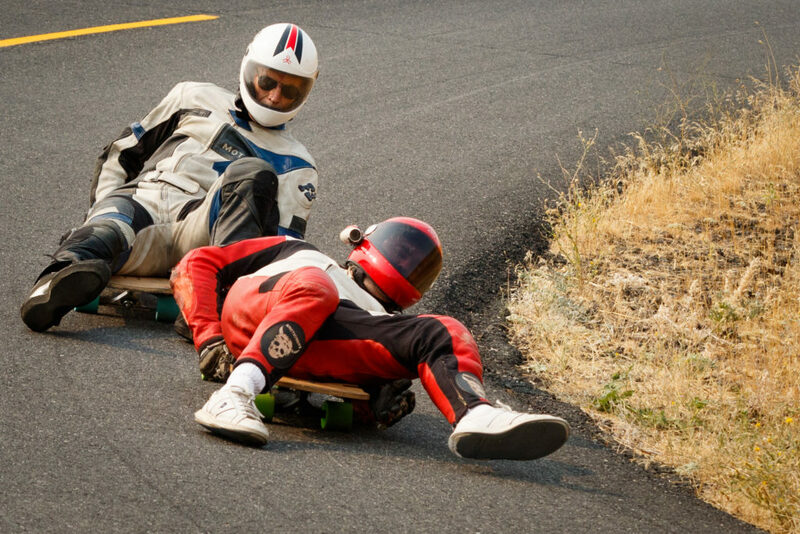 They will careen down Maryhill Loops Road six wide. While the speeds are relatively slow, the riders are still on the edge around several turns. 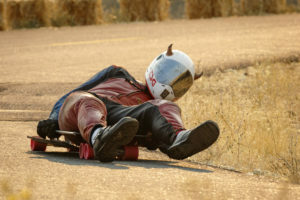 The first person to brake is most likely the first to lose.